I became a fan of John Hartford in about 2 seconds while watching the opening segment of the old “Glen Campbell Show” on CBS. If you’re old enough to remember, Glen Campbell used to sit in the audience and stand up as the show began, singing his landmark recording “Gentle On My Mind”. 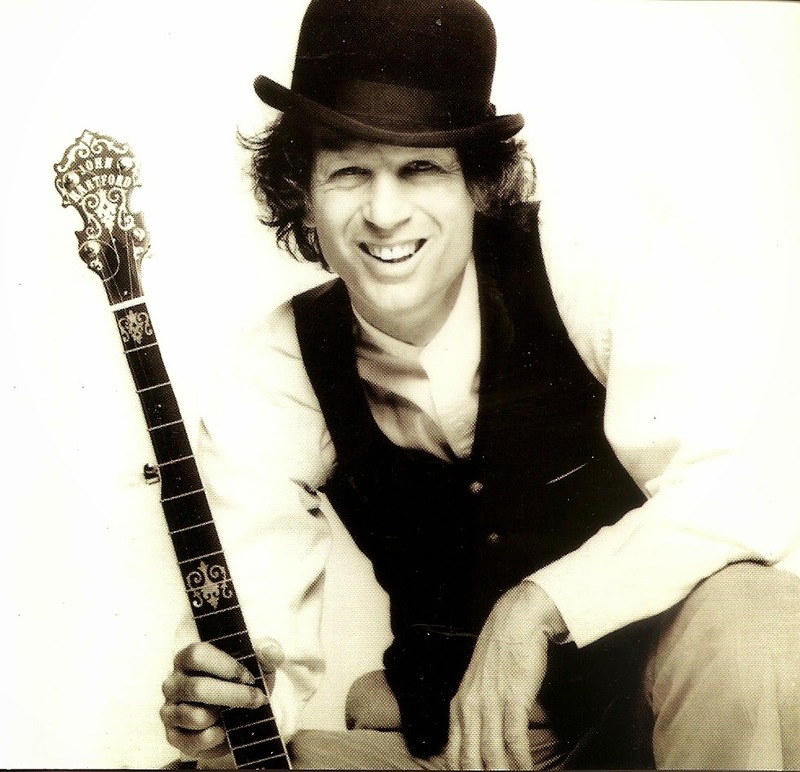 Standing with him was the song’s author, John Hartford, playing the banjo. 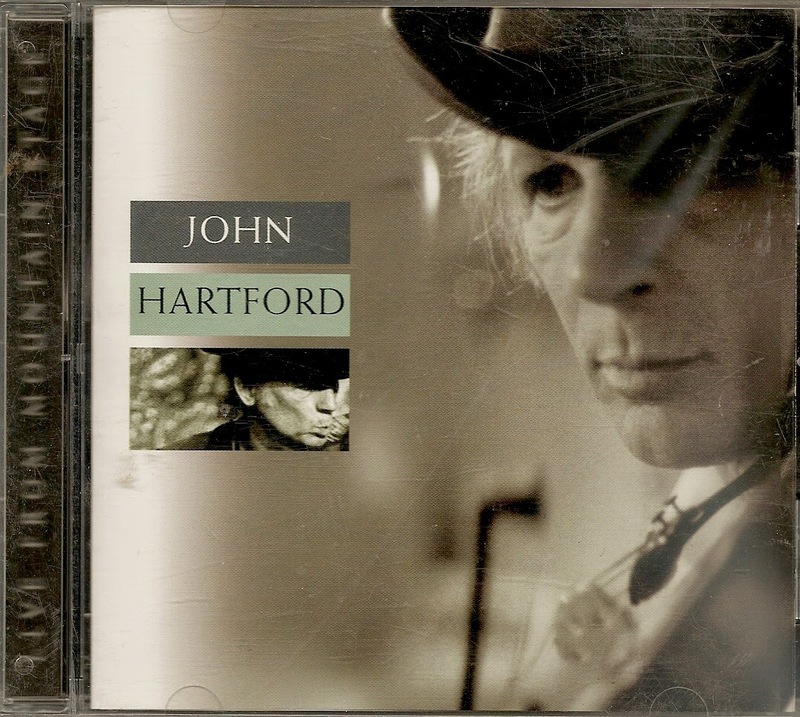 For years afterwards I always looked for John Hartford, either as a solo act, or playing backup on other artist’s recordings. 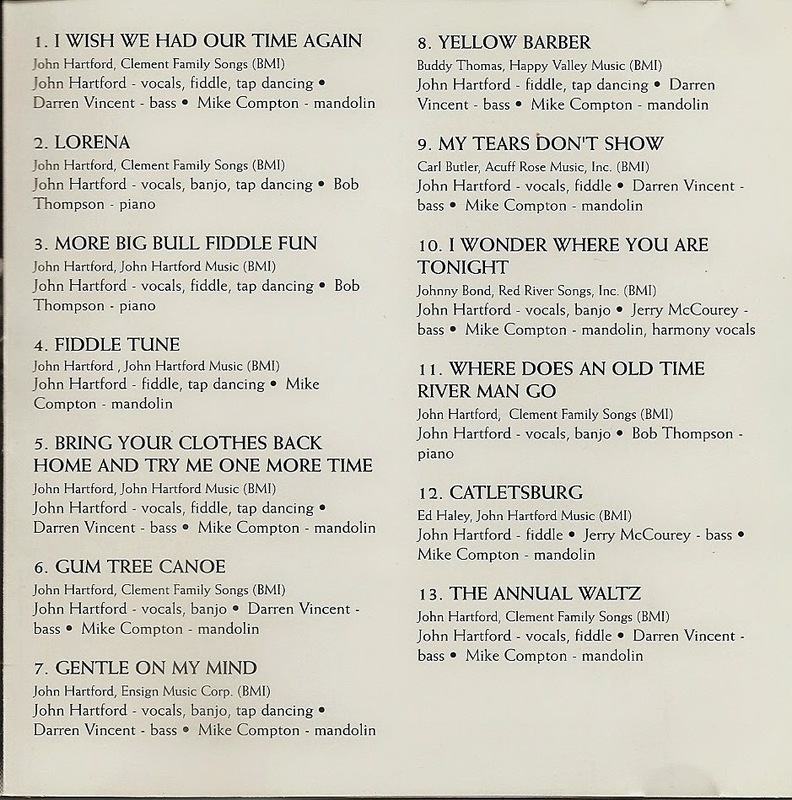 Ask anyone in the music business and they will tell you with all honesty that John Hartford was the man who helped keep the genre of “Americana” alive through all of the changes in music which occurred during the 1970’s and 1980’s. He was the curator of part of our cultural history. With his trademark bowler hat and sleeve garters, Mr. Hartford tap danced and fiddled his way across America during his almost 5 decades in show business, appearing on TV Shows, College Campuses and County Fairs. He was like a vision; a glimpse into the past of America; a time when steamboats roamed up and down the Mighty Mississippi, transporting cotton, and gamblers to their respective destinations. He was like a part of that scenery, although 100 years removed. American music is composed of so many different styles, and comes from so many different roots. In it, you hear jazz, blues, slave chants, folk tunes from scores of countries, and even oriental influences combined into something unique. John Hartford fell hard for the Scots/Irish blend of fiddle music and banjo playing. And along the way he learned to write. From his earliest hits, like “Gentle On My Mind”, to his most obscure of later work, his music always evoked something of the American past. You can hear it in “Gentle On My Mind.” That banjo part just cuts through the whole song. Curiously, he was born in New York City, before moving at an early age to Missouri, where he first saw his beloved river. In addition to all of his musical accomplishments; he played several instruments, and wrote many songs; he was also a licensed riverboat Captain. This album is a compilation of three concerts recorded by Mr. Hartford for West Virginia’s NPR “Mountain Stage” shows at the West Virginia Cultural center Auditorium in Charleston; between March of 1994 and May of 1996. This album was released in 2000, a year prior to Mr. Hartford’s death in 2001. Just a quick look at the song list above will give you an idea of who he was musically. From his performance of these classics; such as Johnny Bond’s “I Wonder Where You are Tonight”, and Carl Butler’s poignant “My Tears Don’t Show”; and even his own songs, such as “Lorena”, “Gentle On My Mind”, and the humorous “Bring Your Clothes Back Home”; it is easy to feel the connection that he had with his audience. They loved the man. It was that simple, and palpable. He frequently tapped danced as he played, and you can hear his feet accompanying him on many of the tracks. His death in 2001 left a vacuum in American music which has never quite been filled. But, whenever you see a juggler, a street musician, or anyone engaged in “street” art, you are looking at part of Mr. Hartford’s soul. He was our troubadour; our wandering minstrel. And, we will likely never see his like again.